Every year, it’s a balancing act. Given the nature of ever-changing weather patterns and other factors out of your control, your ability to gauge soil conditions and track available nitrogen levels can seem like a formidable challenge. Over the past few years, cold, wet, spring weather patterns have occurred across the Midwest and this year’s early harvest also featured some substantial rain delays. Based on these developments, you will need to have a solid understanding of what is happening beneath the surface of your fields to be sure your soil has what it needs to nurture your crops in the coming year. A key element of most fertility plans, nitrogen can replenish the soil and create an environment for crops to successfully emerge, grow and thrive. Once applied to fields, nitrogen fertilizer can be lost through a number of processes, which could impact your crop’s ability to reach its yield potential. As nitrogen settles into a field, soil microbes convert ammonium into nitrate through the process of nitrification. This transformation occurs very slowly at soil temperatures below 50°F, and increases rapidly as temperatures rise above 50°F, roughly doubling for each 10°F increase in temperature. If temperatures between the time of nitrogen fertilizer applications and rainfall have remained below 50°F, leaching – the loss of plant-soluble nutrients due to extreme moisture – out of the root zone should be minimal. Fields that received fall-applied anhydrous ammonia can be at risk of leaching losses if the application is made before soil temperatures drop below 50°F or in years with abnormally warm winter temperatures. Soil texture affects how quickly water, and the nitrate it carries, moves downward through soil. Water tends to move much more quickly through coarse, sandy soils than fine-textured, clay-filled soils. In fine-textured soils with no artificial drainage or low-lying areas subject to ponding, the soil can become saturated, and denitrification can become the primary mechanism for nitrogen loss. Denitrification occurs when soil microbes convert nitrate into nitrogen gas under oxygen limited conditions. This gas is then lost from the soil to the atmosphere. Leaching losses primarily occur if nitrogen is present in the form of nitrate. The positive charge of ammonium causes it to adhere to negatively charged soil particles, minimizing downward movement out of the plant root zone and making it harder to be washed away. Nitrate is also the primary form of nitrogen utilized by microbes during denitrification. While estimating nitrogen loss is not an exact science, there are steps you can take to help determine if additional nitrogen applications may be necessary. Soil sampling can help you gain a better understanding of nitrogen levels in your fields. Gathering, uploading and analyzing the test results in your FieldView account is easy. 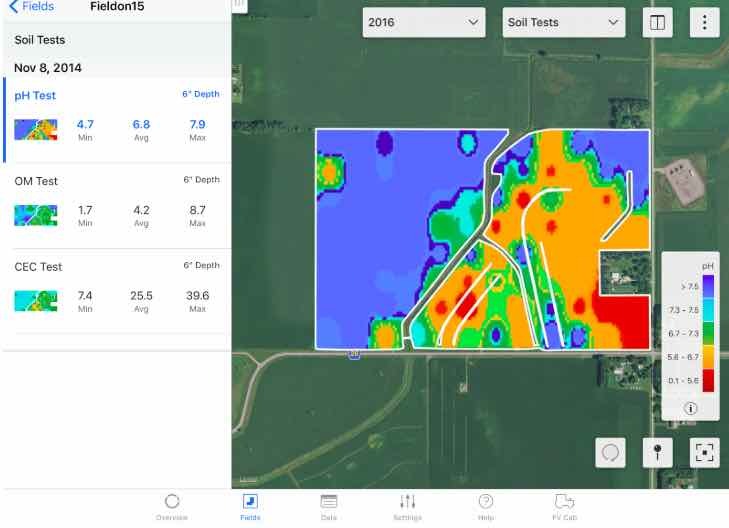 And if you also subscribe to a FieldView partner, your soil mapping data can flow seamlessly into FieldView in just minutes. Learn more about our partners here. FieldView™ nitrogen management tools help monitor conditions, alerting you to potential shortfalls so you can adjust your nitrogen plan. Delaying nitrogen applications until spring can help minimize the length of time between when ammonium is converted into nitrate and when rapid plant uptake of nitrogen begins. Adding a nitrification inhibitor with fall nitrogen applications can also delay the conversion of ammonium into nitrate and help maintain nitrogen levels in your fields. Upload your soil tests into your FieldView account, and OM, CEC, pH, P and K measurement maps will be available for visualization in the field maps screen through the Climate FieldView iOS app via your iPad® device or iPhone® device. Your soil is the literal foundation of everything you do within your operation. Having a better understanding of your fields and how they may affect your input strategies can help you lay the groundwork for a successful planting - and harvest - season in the coming year. If you have any questions, contact your Climate dealer, the Climate Support Team at (888) 924-7475 or support@climate.com. 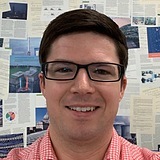 Climate Soil and Data Scientist Andrew McGowan translates soil and agronomic science into digital solutions that increase the sustainability and profitability of agricultural systems. He holds a Bachelor of Science and a Ph.D. in Agronomy from Kansas State University.